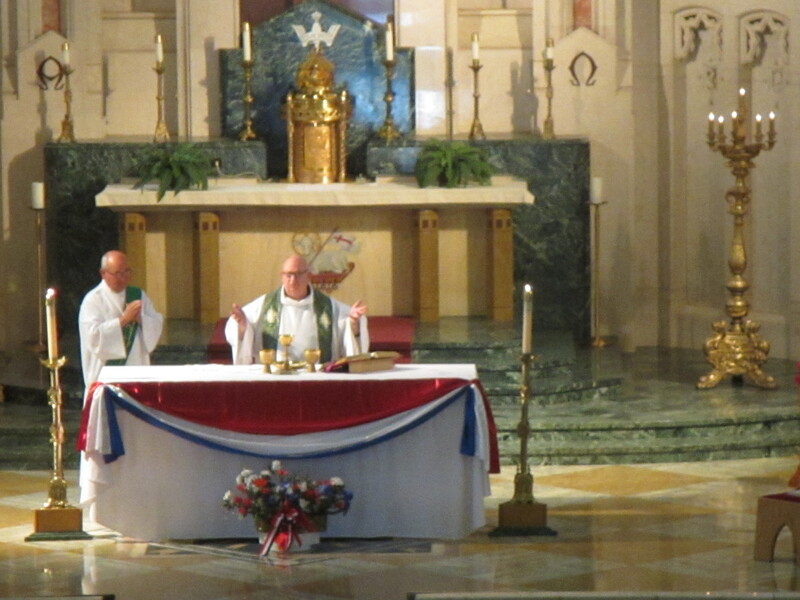 St. John Kanty Church - Buffalo, NY > News > News > A BEAUTIFUL ALTAR THIS WEEK TO CELEBRATE INDEPENDENCE DAY! A BEAUTIFUL ALTAR THIS WEEK TO CELEBRATE INDEPENDENCE DAY! In celebration of Independence Day! Fr. Paul Sabo offered Mass on Sunday and even sang an anniversary tribute to Larry and Bernie Maguda! Thank you to those who decorate our altar with the change in the liturgical seasons!